Oracle Secure Backup is a general-purpose network data protection tool that simplifies and automates the backup and restore of files on a file system. The software can also serve as a media management layer for Recovery Manager through the SBT interface. 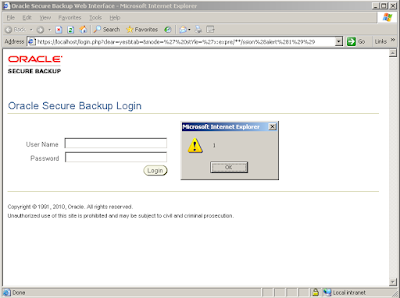 Sow Ching Shiong, an independent vulnerability researcher has discovered multiple vulnerabilities in Oracle Secure Backup. These issues were discovered in a default installation of Oracle Secure Backup 10.3.0.3.0. Other earlier versions may also be affected. Oracle has released patches which address these issues. Please see the references for more information. 2011-01-21 - Vulnerabilities reported to Secunia. 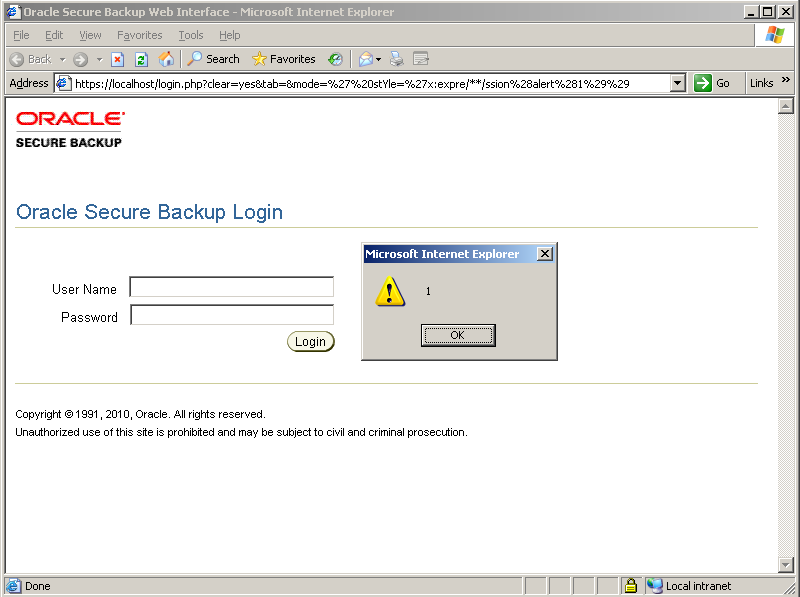 2011-01-21 - Secunia confirmed the vulnerabilities and contacted the vendor. 2011-07-20 - Advisory published by Secunia.